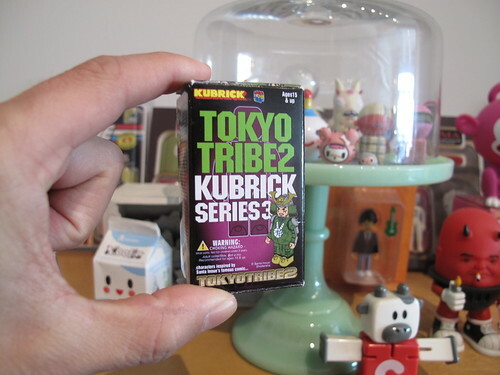 I used to have all the Tokyo Tribe2 large 12 inch figures…. got them all in Hong Kong when I lived there. Iwao was my favorite. He has a killer hat with horns and zip up camo hoodie and short pants. I loved them, kept them nice and safe and took them out to “play” every once in a while. Between my moves from there to SF to LA and around LA… somehow, they all got lost! So sad. So, I just picked up a little Kubrick… nothing like the big figures, but, a little reminder of those guys. Still haven’t opened it yet, will do so on a good day.